One of the key elements to bear in mind when furnishing your home is the lighting. The right lighting can really make a difference to a space and a piece of furniture, in the same way as choosing the wrong sort of artificial lighting can devalue even the most elegant of interior design projects. Lamps, lighting fixtures and spotlights are not the only ways to illuminate your home. One of the current big trends in modern interior design is the use of LED lights which blend in with the units and walls to create great effects with real impact. 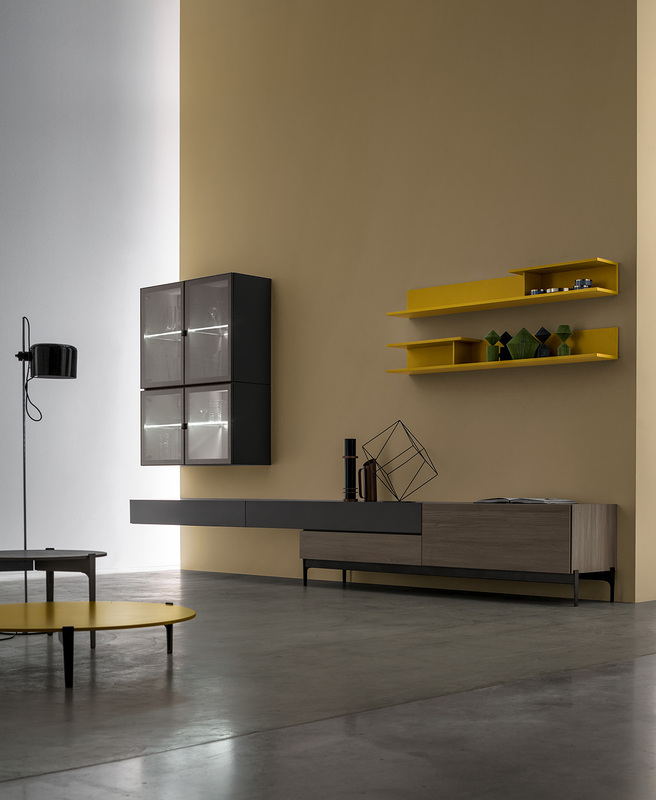 Santalucia Mobili has also come up with some solutions that combine LED lighting and furniture, for the living room and bedroom spaces. LEDs built into furniture are more than just simple sources of light; they become decorative details that enrich the composition, emphasising different shapes and creating interesting contrasts between light and dark. Thanks to their elegant, delicate look, they work particularly well with minimalist, modern designs. This is why we have also chosen to use them in the latest Ikona-branded living room collection Innova. Just a few light points are all that is needed to give the living room a new sense of style. 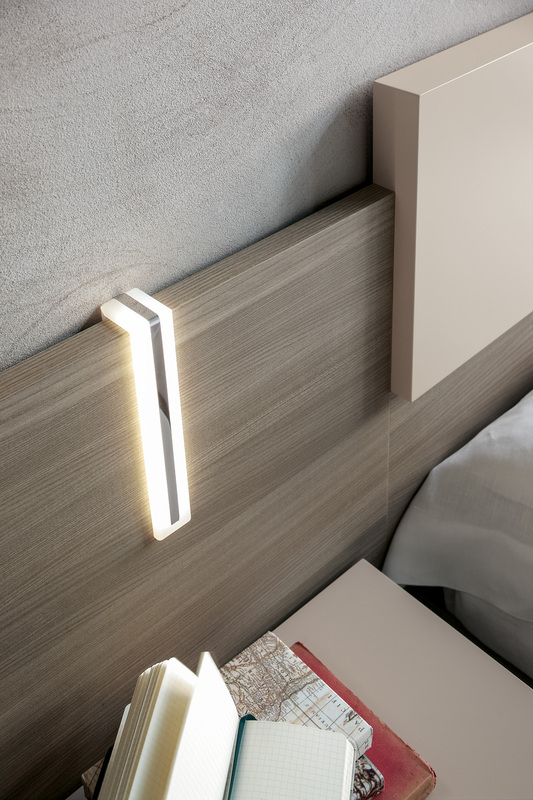 An LED strip above or below the wall-mounted units outlines their lightweight form, while also softening their articulated structure. 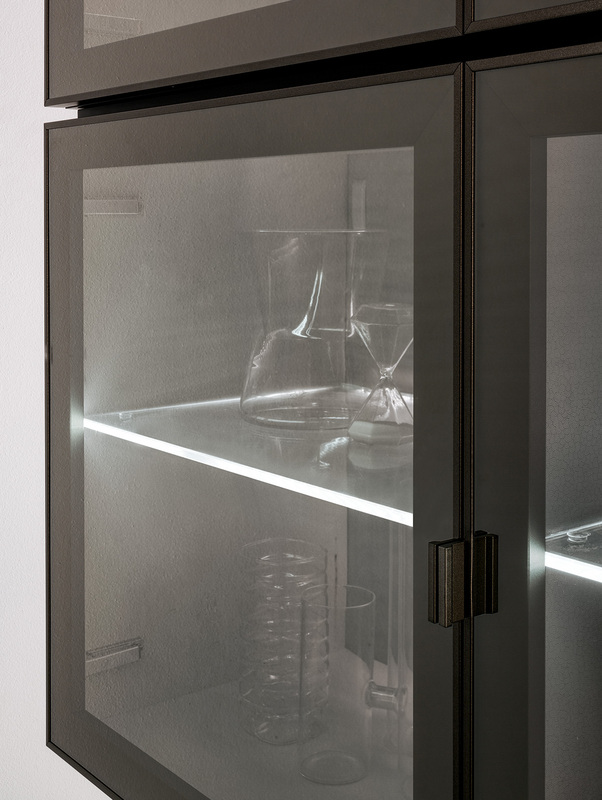 For an additional touch of class, you might also choose a wall-mounted display cabinet, with an LED profile along the shelves. This creates a unique effect with light reflections that adds movement to the whole composition. When it comes to the bedroom, the lighting must never be too intense or too cold; for this reason, you might think LEDs are not very well suited. In fact, if they are integrated into the furniture composition, LEDs are both practical and functional. They create a soft lighting effect that is perfect for stimulating rest and relaxation. For the Homy brand, we have studied various different solutions of this kind, starting with the bedside cabinet in the Dolomite bedroom collection which can be customised with a built-in table lamp. 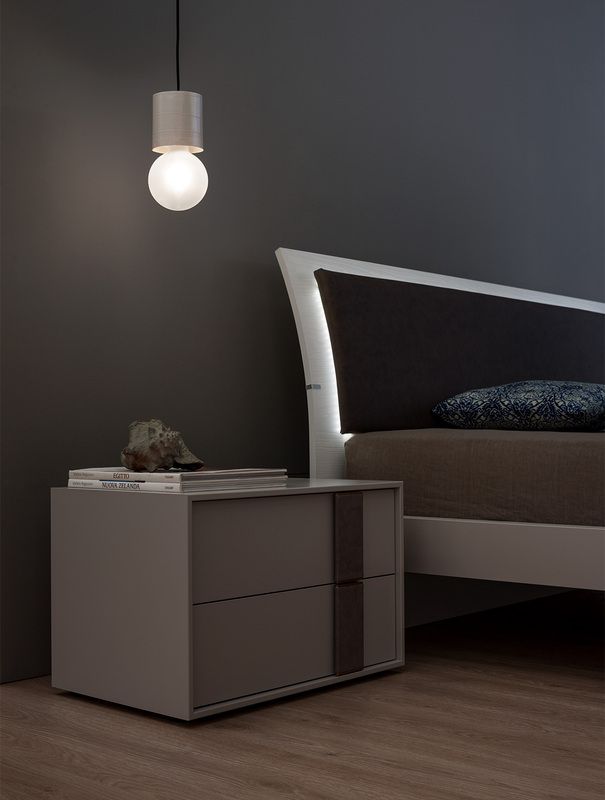 Alternatively, a reading light can be fitted directly on the headboard, as we have done for the Scacco bed. 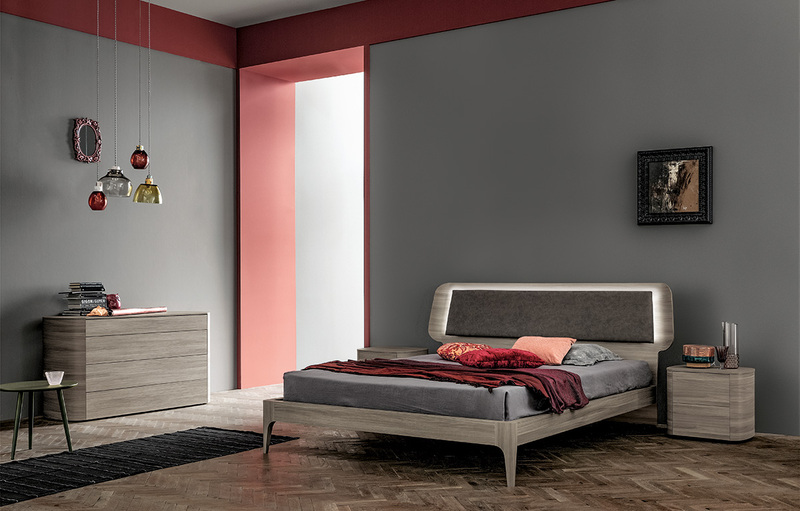 This bed features wood panelling, which can be fitted with a light insert. If the bed has an upholstered headboard, you can create an even softer lighting effect by positioning the LED behind the padding. This creates a halo of light that is ultra-delicate but very effective. Major, the new bed by Homy, uses precisely this solution. 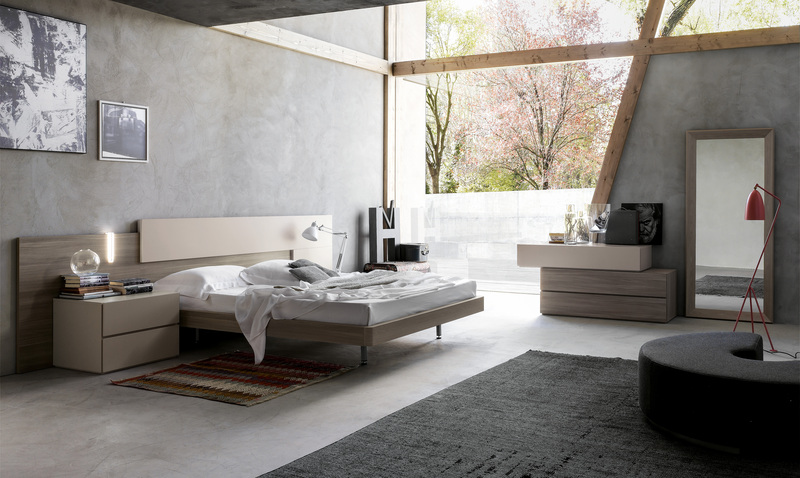 In addition to being functional, an LED bed backlight can also really emphasise the unit shapes, introducing a poetic element into even a linear design, as is the case with the Parentesi bed. 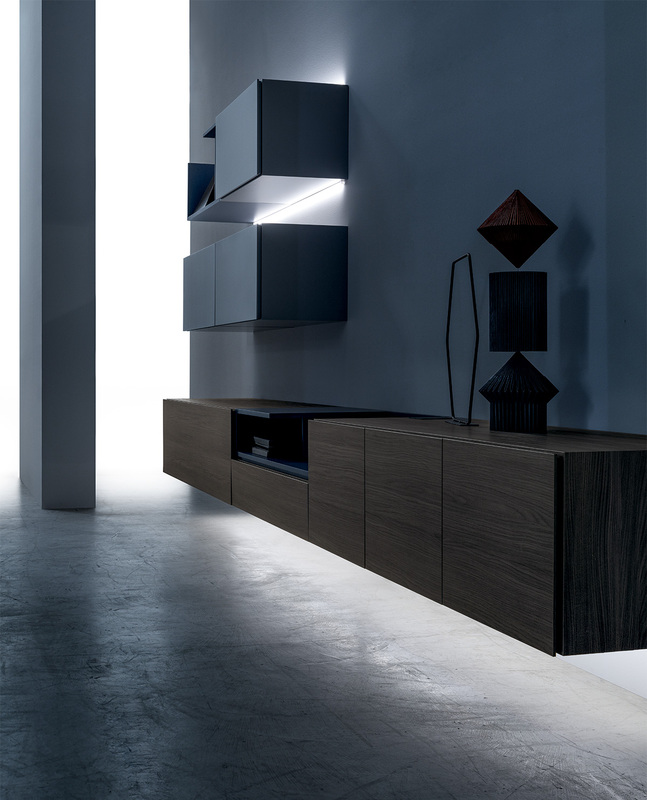 Another unit in which LEDs can prove to be particularly useful is the wardrobe. Internal lighting is a useful feature in any storage units, to see what you are hanging up or putting on the shelves. This is especially the case for corner wardrobes, which can sometimes be dark inside. 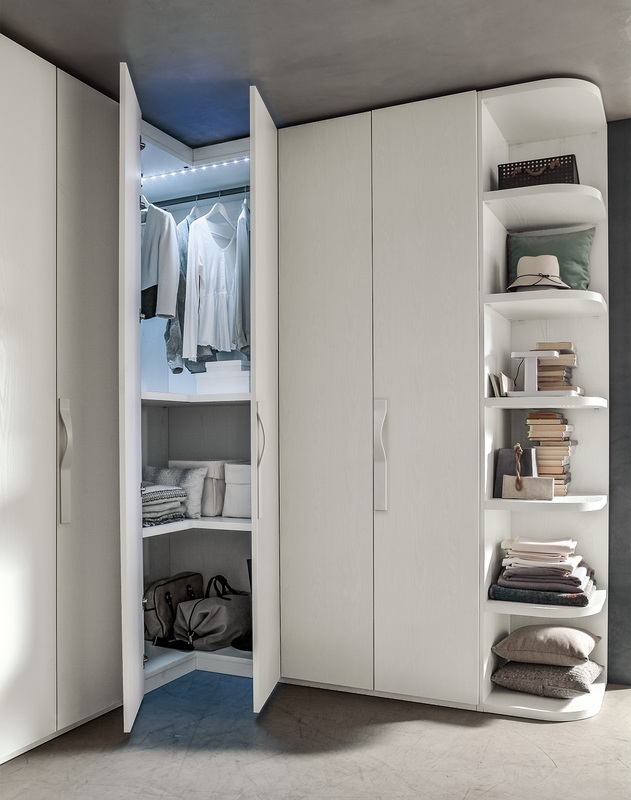 Having LEDs inside the wardrobes can also contribute to the look of the unit, as well as being a functional feature. 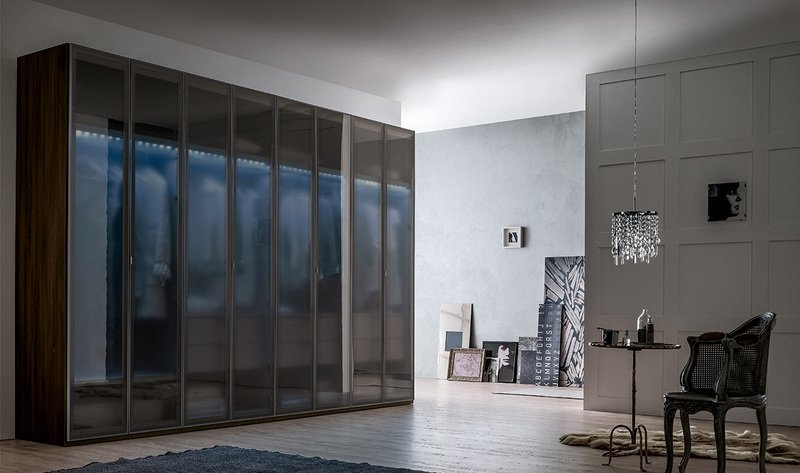 If you opt for the Telaio Vetro wardrobe with frosted glass doors, like the framed glass model by Homy, the inside light is visible even when the doors are shut, creating a soft, blurred effect. A touch of elegance that makes your bedroom or walk-in wardrobe truly unique!